I swear that I do more than just eat, eat, eat. Although, this weekend’s marvelous happenings would say otherwise. Friday was spent with a sunset on the west side of Manhattan with my coworkers. I had actually never been to this part of town (~68th and the water) and it was picture perfect. 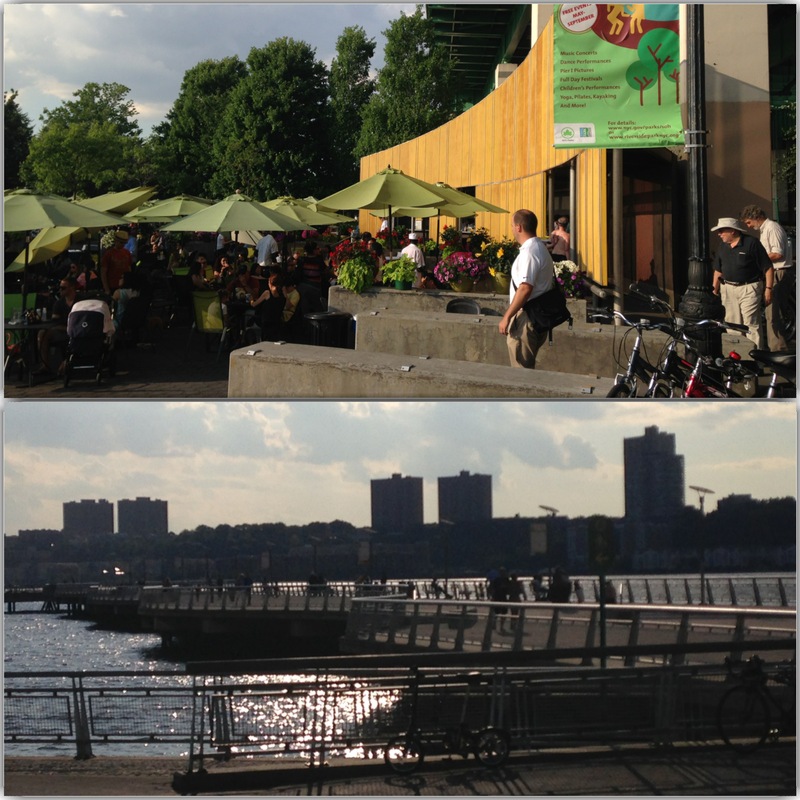 I would love to go back and run the west side all the way down to the Highline or even go back for lunch one day. Saturday ended up being a lot of sit around and wait. I was bouncing between some lease and rent drama to waiting around to show the apartment to a few potential subleasers. I swear, the whole process of being a big kid really isn’t all that glamorous. My PSA for the day – stay young as long as you can. 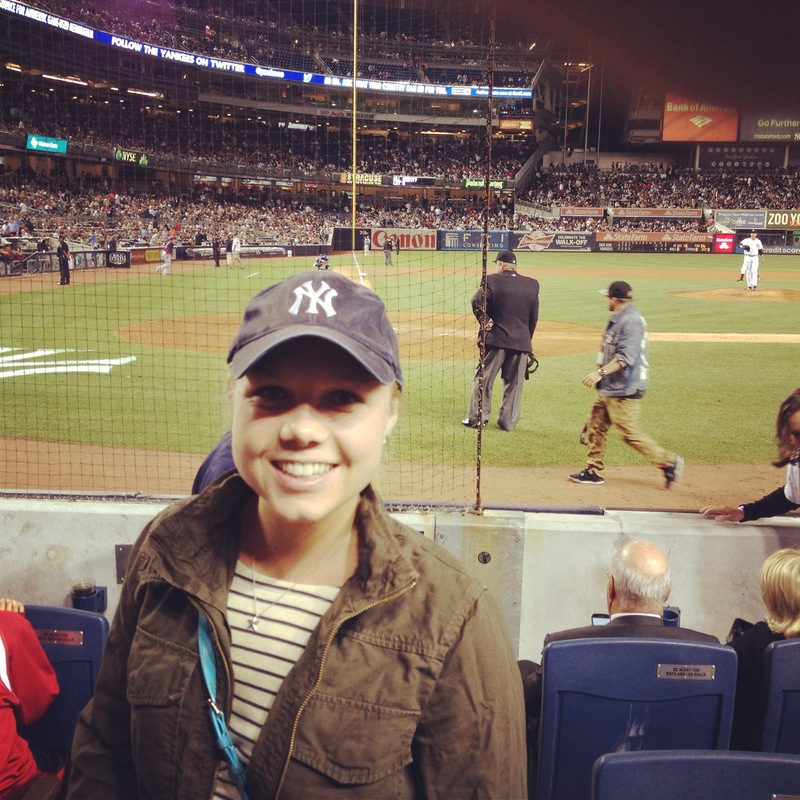 However, all the pain of being stuck in one place was rewarded with a trip to Brooklyn to see my new friend Marnie. 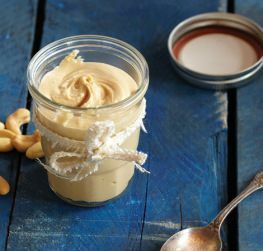 Together we chatted for hours and made two different types of nut butters. We also decided to try our luck at one of the hole in the wall spots of Brooklyn. This Mexican joint was a recommended tortilleria and boy was it a hit. 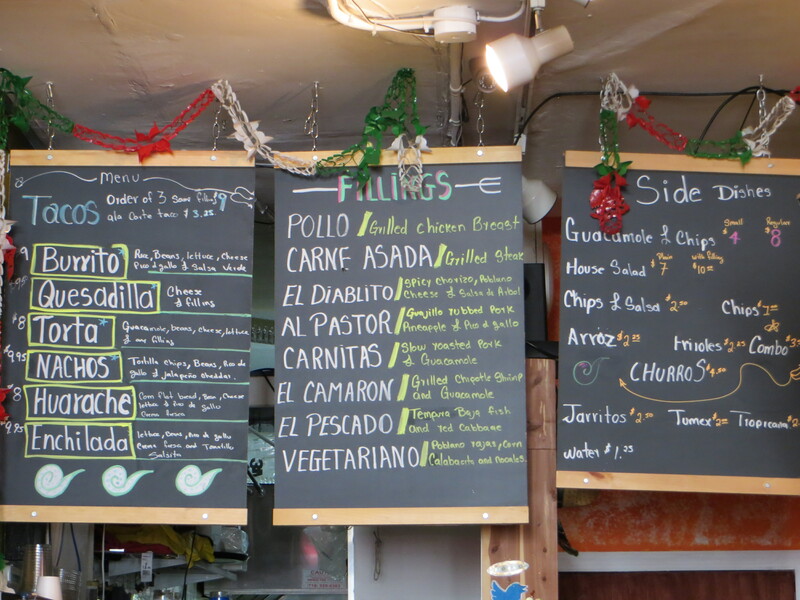 Not only were the ingredients delicious (I had tacos – chicken + enchilada or “spicy pork”) but the prices were beyond reasonable. I guess this stems from the fact that we are getting used to outrageous Manhattan prices – try $12-$15 for a decent salad. All about the blueberries – whether they are fresh, frozen, or blended into a smoothie, it’s time to ramp up those antioxidants. Scrumptious results thanks to the Peas & Crayons recipe here. My Sunday started off with a spin class led by Jen and then a homemade brunch. I’ve been able to attend more spin classes recently and love having Jen as the teacher. Always good playlists, which to me can make or break a class. From working out, I went to indulge in a whole bunch of homemade food. My friend Mia happens to have a bunch of friends in the city and thought it would be fun to make our own Sunday brunch. Between the mega fruit salad, stuffed french toast (gold-star worthy! ), eggs, bacon, and scones, I’d say it was a huge success. The remainder of Sunday was spent exploring a food convention, prepping the week’s food and cookies for coworkers, finishing up season 1 of “Friends”, and re-organizing the apartment. With that folks, we say goodbye to June and hello to a brand new month. 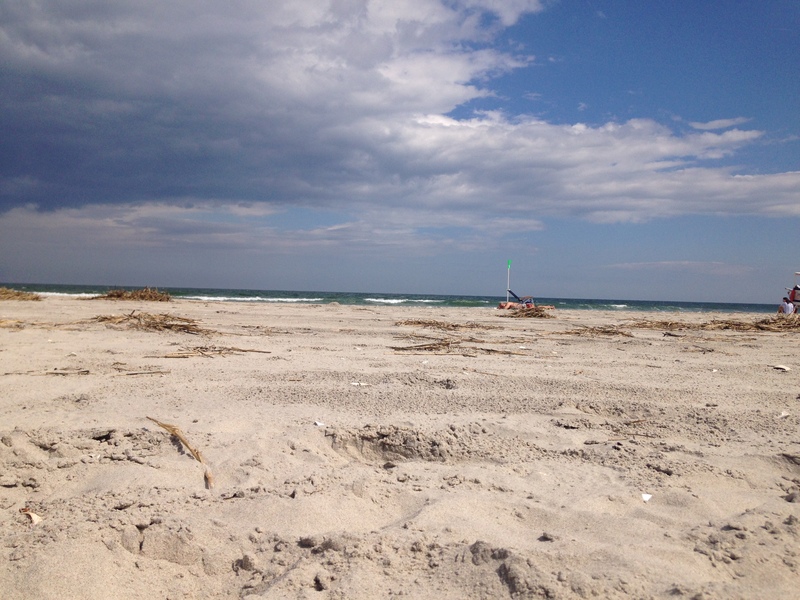 So long June, it’s been real. It’s not every day that you take a trip to visit a great literary figure’s estate. However, when your mother happened to be an English major and English teacher, this stuff happens. One of the items on our to-do list during her stay was to visit the great Washington Irving’s estate up in Sunnyside, New York. Irving is best known for writing the short stories “Rip Van Winkle” and “The Legend of Sleepy Hallow” (both of which I am guilty of not reading…yet). He was not only an author, essayist, and biographer, but also a historian and well known 19th century diplomat. As a matter of fact, he was one of the first well-known and respected American writers across the Atlantic in Europe. Recommendations had been given to stop at the TarryTown train stop, which we dutifully followed. In our minds, we pictured a quaint main street with cafes and a deli where we could create a picnic lunch. While the town was indeed cute, we found ourselves struggling for lunch options. Again, we were searching for a cafe or deli with to-go options and maybe it’s just a California thing. Thankfully we did walk past an Italian deli where we picked up two sandwiches. The other dilemma was that Tarrytown was a solid hour’s walk along the busy highway or exorbitant cab fare from the estate. We wanted to sit and enjoy our lunch on the estate, so we settled for a $12 cab ride. The issue with cabs is that they don’t fall under the NYC rules and regulations and can charge pretty much whatever they please (I’m honestly surprised they didn’t charge us $20). Once on the estate, the view is breathtaking. So different from the crowded city of Manhattan. Greenery overwhelms the estate with hundreds of plant species, all meant to model the romantic style of landscaping. The tour itself was quite lovely and informative. Each guide is dressed in time-period garb (hoop skirts for the women and woolen getups for the men…so glad I’m not a guide). Fun note about the tree above – this beauty has been around since 1776. Imagine that! What’s funny is that my mom and I almost decided to spend the night up here. Don’t get me wrong, it’s a lovely location but seeing as we had pretty much accomplished everything we set out to in about 4 hours, that would have been a loooooong night. Obviously the gift store is one of the most interesting parts of a tour. Here we found the typical array of books, coffee mugs, ornaments, and yes, shot glasses. Who knows, maybe Irving was a fan of whiskey. This time we decided to test our luck with the other train station, Irvington, which was only 1.3 miles away from the estate, and a much more manageable and scenic walk. Funny enough, when we entered this Main Street, we found 3-4 delis, which would have fit our needs perfectly. Oh well, a lesson learned and at least we were able to explore another New York town. Also, now that I know how to get out of the city, I will certainly be making the trip north for this fall’s pumpkin festival. Garden fresh produce, gourmet granola, and delicious poultry, fish, and meat right in your backyard. I remember the first time a farmer’s market was established in our little town back in California. It must have been around the time I started high school and unless we were out of town, I made sure to visit each and every Saturday. I even made friends with the berry man and he would help me practice my Spanish, even if it was only for 10 minutes every week. 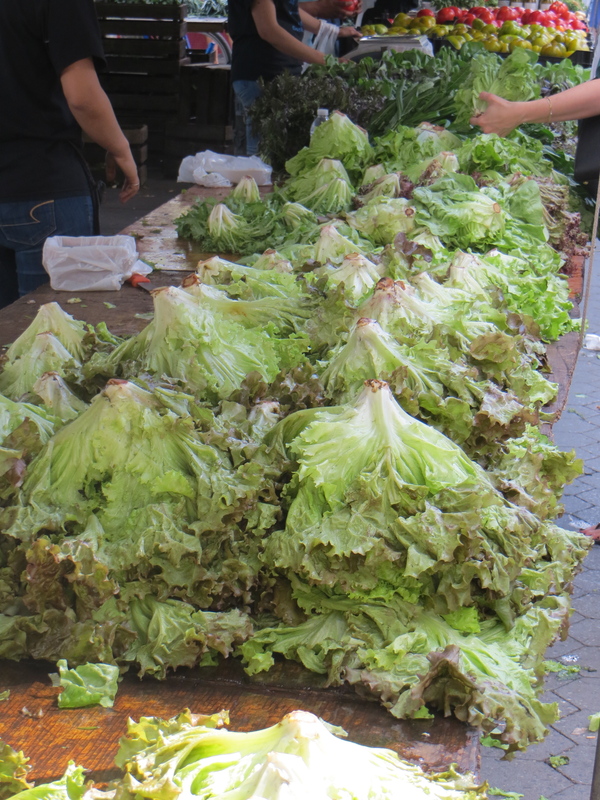 Turns out there are more than enough markets to choose from in and around the island of Manhattan. I like to treat myself once in awhile to a trip to Union Square spot, a hub for all the funny characters from the city. You have your yogis, fresh produce snobs, and oh so many college students (after all, it’s near NYU). I tend to arrive with $20-$40 in hopes of not spending any more than that. Otherwise I would end up with oodles of produce that I couldn’t consume and end up broke. I also like to balance out my shopping between the local grocery store, Trader Joe’s (if I can find the time and patience), and the weekly market. 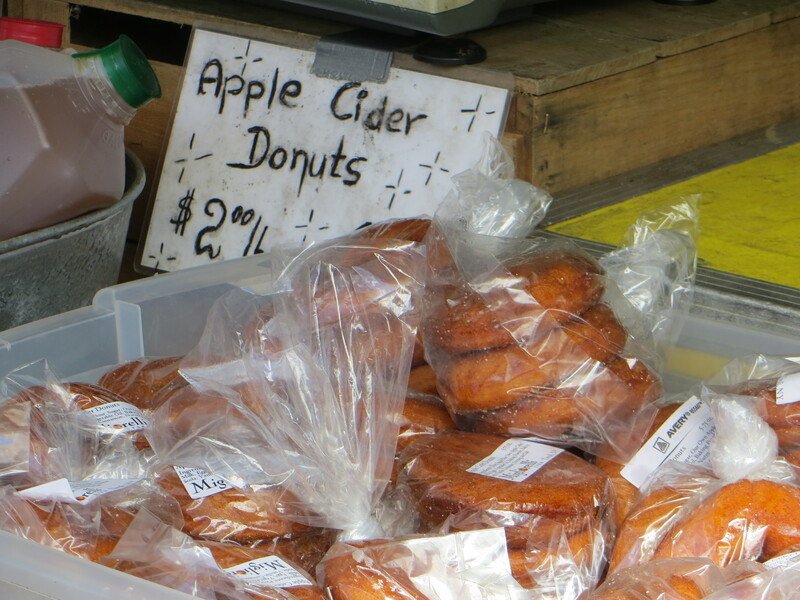 I love the seasonal products such as apple cider and pumpkin doughnuts, fresh figs, and summer berry scones. More often than not, I take a trip to the market just to people watch. To be honest I have trouble picking from the stalls, unsure which apple looks more delicious or which head of lettuce is more reasonable in price. One has to accept the fact that some vendors will be more expensive due to the local of their products and the methods in which it was grown. The whole food debate of cost vs. health and how both can be obtained in a reasonable manner. There was one time where I finally decided to purchase a bag of mixed greens, only to arrive at the register and be told it was $30 for only two handfuls of lettuce. Um, I’m sorry, did I hear that properly? Yeah, that was quickly disposed of back into their respective bins and I was on my way. 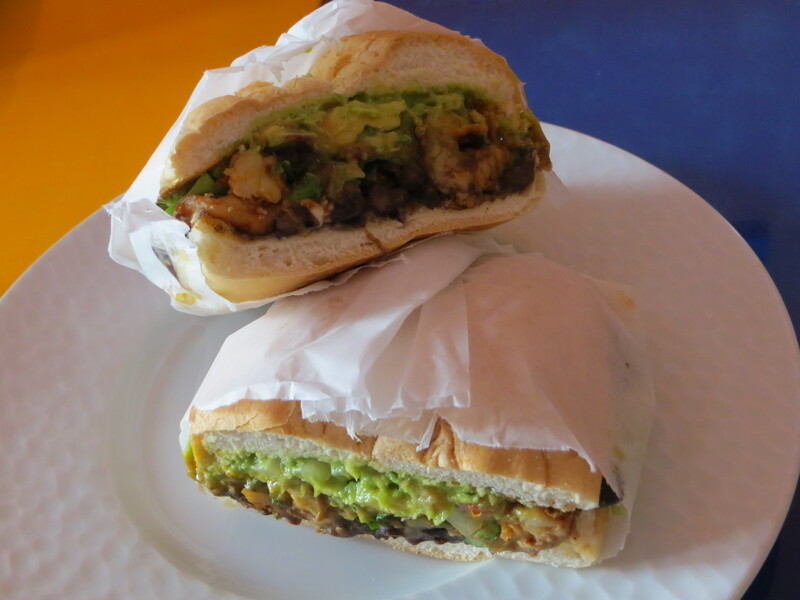 Looking for some solid Mexican food without the wait? How about something to satisfy those post-run or post-bar munchies? Boy do I have the place for you. And yes, it’s time friends to graduate from the days of Taco Bell and into the real world. The discovery occurred a couple weeks ago when I went to support a college friend of mine in her beginning improv performance. She had taken a 8-session course at the well-known Upright Citizens Brigade and so kindly invited me to attend the final performance. After the show, I met up with her and the rest of the group and we all went out to celebrate. After a round or so of beers, we realized it was time for some lunch. It was almost 2:30pm, yet no one (besides myself) had eaten all day. As any wise individual knows, drinking on an empty stomach is a no-no. So we set out in search of food and found ourselves at El Diablito Taqueria. While this appears to be the one and only menu (less choices = better cooking, right?) They are more than happy to customize your order. I loved how vibrant the colors were on the interior of the restaurant, how unassuming it would be from a simple glance from outside. Some people either continuing their buzz or drinking the Mexican brews simply to feel thematic with their meal. From what I could see the only beverages offered were that of Mexican beer or Jarritos, the flavorful Mexican sodas. I practically grew up eating Cal-Tex-Mex 4 or 5 nights a week, so my view of Mexican food is a bit distorted. However, I guess you could say I am also pretty picky about my Mexican food coming from California. When I go out to eat, I look for something that I can’t necessarily make at home, something that overflows with flavor, and something that will leave a lasting impression. This divine creation certainly hit all three of those categories. The Huarache was something I had never encountered and thus obviously something to order. 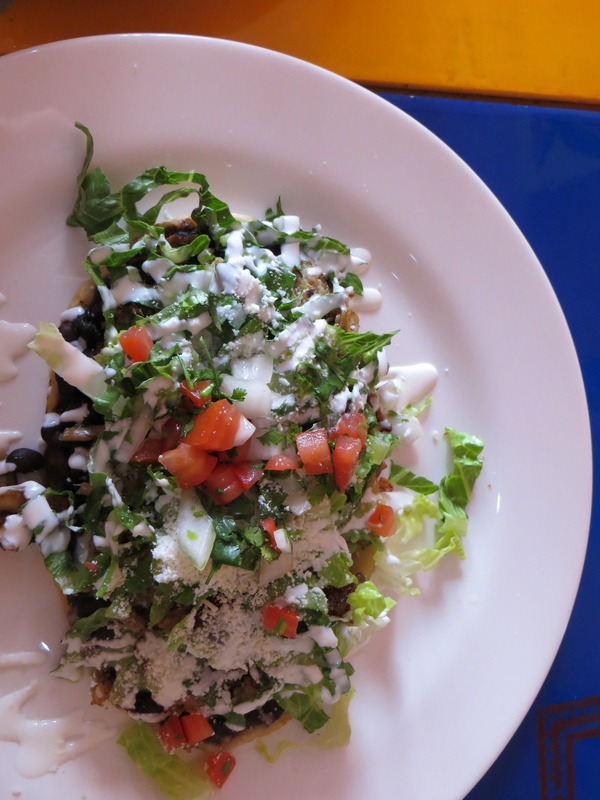 It was a corn flat bread (thicker and spongier than a corn tortilla) and topped with black bean puree, chopped lettuce, crema fresca and your choice of filling. For a little under $9, I left quite content and honestly ready for a nap in the spring sun. 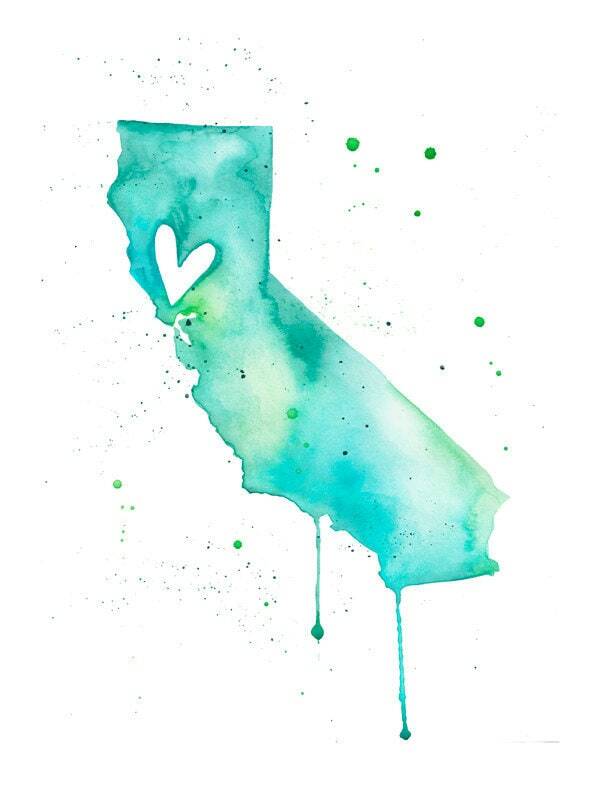 That’s right, not only is it officially summer, but Momma Fuelling was in town for a fabulous girl’s weekend ~ shopping ~ eating good food ~ exploring and more. Thursday night we met up with some family friends and ate oodles of delicious pizza and gnocchi at the ever so popular Eataly. I’m truly blessed to have these guys on the east coast since they are pretty much my east coast family. I love it! First thing Friday morning, we set out to New Jersey to visit Hoboken. The real search was to find a jewelry store that my mom’s college friend had started. Apparently it was called Anastasia’s Accessories but sadly has since closed down. 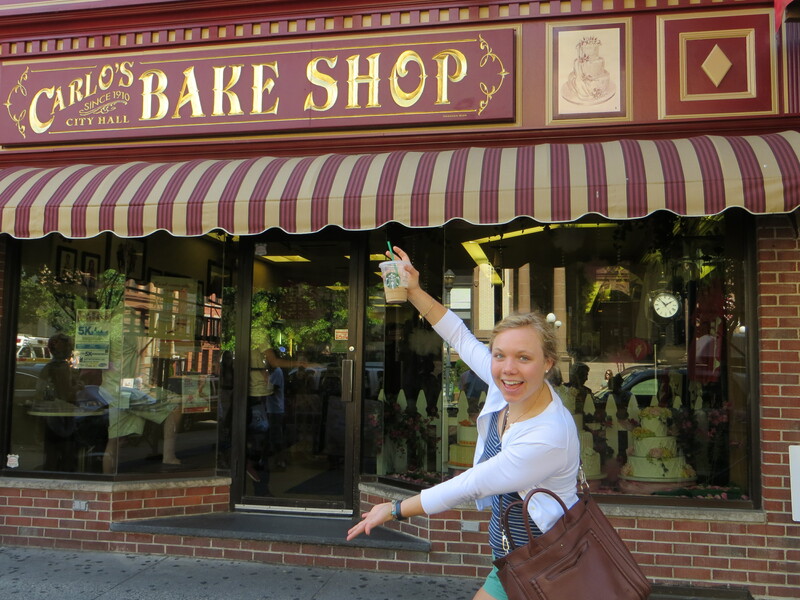 It was not a total fail since I had never been to Hoboken and we soon found ourselves outside the famous Cake Boss Bakery. Obviously we had to get in line and see what the real atmosphere was like. Just look at those monstrous cookies and cakes! All the fondant! Since it has become such a big deal, that there is a line outside the bakery and a man giving numbers for when you enter the store. After we picked up our sole cannoli (later to be put in the freezer) we headed back into the city to do some shopping. The rest of Friday was spent cleaning my apartment top to bottom. No really, Madre, bless her, got right in the tub with a toothbrush and cleaned all the grout and tile. Doesn’t that sound fun? But really, I don’t think I’ve seen my place this spotless and it’s sort of incentive to keep it up. I did try to pick up a bath caddy but had the most difficult time getting it to stick to the wall. Friday night was a night on the town ~ A quick dinner at TGI Fridays (keeping it classy) before watching Motown the Musical. I was so looking forward to the music as much of it was on the local stations I listened to growing up. A New York classic that may have been consumed three days in a row. It’s safe to say I’ve found a new favorite dessert (or just add it to the list). I had to include the picture of cookies at Pick-A-Bagel where they create separate cookies, for those who like one flavor over another. My mom and I were laughing all the way home about this. Both Saturday and Sunday started off with a light jog down the east river trail. 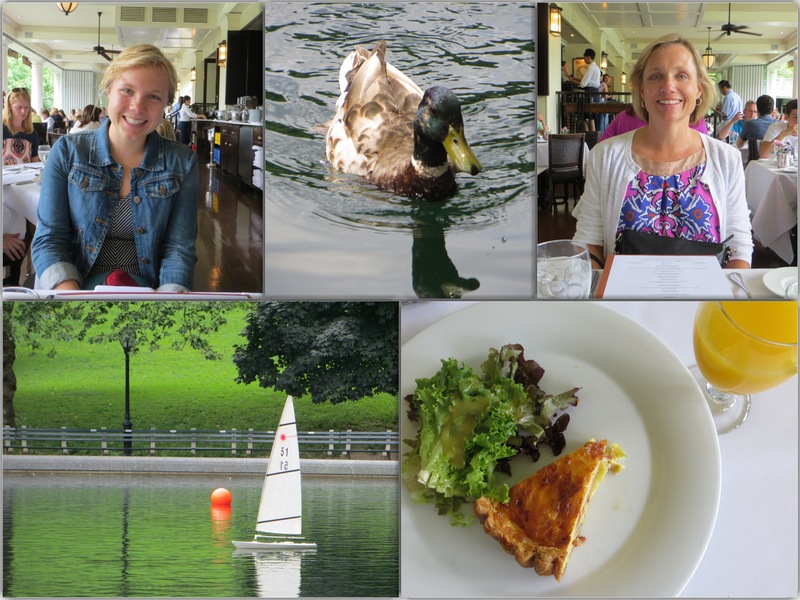 Even though we were walking all over the city, it was helpful to start off on the right foot and of course work up an appetite for the fabulous food we planned to indulge in. Literary adventure on Saturday – a trip north to Tarrytown and Sunnyside, NY where we visited Washington Irving’s estate (post to come soon…I’m sure y’all are dying for some English gossip 😉 but really, it’s a neat trip). 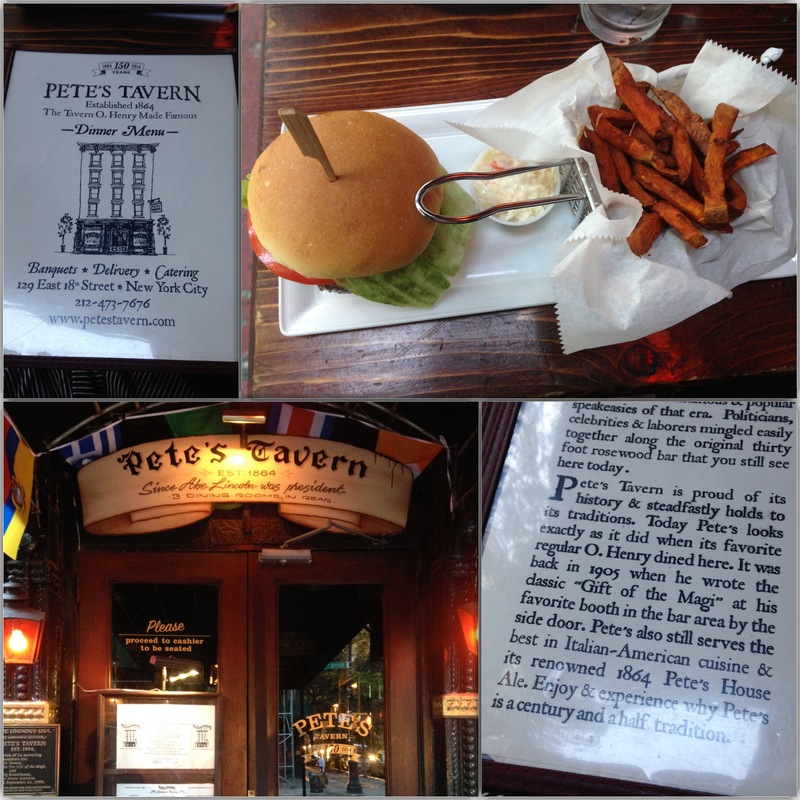 Then for dinner we went to Pete’s Tavern where O. Henry (author of Gift of the Magi) was a regular. My mom had spotted the tavern back in November and kept telling me to test it out. I had no clue what she was talking about even though I walked past the place almost every other day. It’s safe to say I had one delicious burger with sweet potato fries and my mom had the most amazing turkey burger. I have no idea what seasoning or sauce they used but I was hooked! We wrapped up the weekend with another run along the east river trail (got to get this girl back in shape…slowly but surely) and then dressed up for brunch at The Boathouse. I have certainly lucked out with weather because it was another brunch to remember. Today she heads home and it’s back to work I go. Looking forward to the summer days ahead and hopefully a Fourth of July fete. “Family is not an important thing. It’s everything.” – Michael J. Fox.